Bannon has become friends with Gerald Butts, a longtime political adviser to the Canadian Prime Minister, Justin Trudeau. They met in New York during the transition and now talk regularly. Bannon sees Butts as a sort of left-wing version of himself. Last year, as the Prime Minister’s popularity was in decline, Trudeau pushed through a tax hike on the rich, and it helped him rebound. Bannon wants to sell the idea politically by arguing that it would actually hit left-wing millionaires in Silicon Valley, on Wall Street, and in Hollywood. Bannon is one of the few Republicans in Washington actually to consider what has long been backed up by polling: many working-class voters who support Republicans are in favor of higher taxes on the rich. “There’s nothing better for a populist than a rich guy raising taxes on rich guys,” Butts told Bannon. PMO never disavowed that story, and Butts didn’t tell The New Yorker’s fact-checkers what Lizza wrote was wrong. So we can accept it as the truth. Practice what you preach, goes the saying. So, up here in The Great White North, of course, what Justin Trudeau’s top advisor was telling Donald Trump’s then-top-advisor to do was exactly what the Trudeau Liberals were doing – they were rich guys, raising taxes on other rich guys. They said they’d do it in their platform, and in their budget, and on the hustings, they reminded us: rich guys were going to be targeted. The Trudeau guys are not noted for their subtlety. If they could get away with printing a budget on a pair of Star Wars socks, they’d do it, and then they’d put it up on Instagram. So, to ensure we didn’t miss the arc of their narrative, Trudeau dressed up as Superman for Halloween, and Bill Morneau actually likened himself to Batman. They were the millionaire superheroes, you see, saving the middle class from millionaires less philanthropic than them. But the details got in the way, as they always do. Morneau’s tax changes unfairly targeted small business, not big businesses like his. Revenue Canada said it would start going after waitresses for their tips, and retail clerks for the clothes on their backs. And then the whole thing ended in farce, with a secret French villa, set up to avoid the reach of tax collectors back here in the colonies. The Conservatives, being led by a remarkably unremarkable fellow who also plays footsie with white supremacists and anti-Semites, shouldn’t be benefitting from all this. He’s a dud, a nobody who has done nothing. But, according to not a few pollsters, now, he’s competitive. A Forum poll, this morning, says he’s been ahead of Justin Trudeau for months – right around the time that Bill Morneau started advocating against millionaires like him. Voters will forgive lots of stuff. But, to them, no sin is greater than hypocrisy. As that pedophilic Republican Roy Moore is discovering the hard way, your personal life better reflect your public life, or else. Voters hate hypocrites. That’s why Messrs. Trudeau and Morneau are in some trouble: they are rich guys who said they’d go after other rich guys. But they went after the little guys instead. There are a lot more votes on Main Street than Bay Street, as the smart progressive populists – Bill Clinton, Jean Chretien, Barack Obama – knew. They always took care to be seen in Harvey’s and McDonald’s, and not the Ritz. The Trudeau government is in some trouble. It’s true. And they’re in trouble not because they’re rich guys. Politics is full of rich guys. They’re in trouble because they didn’t, you know, hide it very well. And they’re in trouble because they said they’d do one thing – to Steve Bannon, no less! – and then they did precisely the opposite. Can they recover? Sure. But they need to smarten up. For sure, they need to smarten up. Easy solution: replace Morneau with a pro-business type like Scott Brison. And, take a page out of Mr. Chretien’s playbook and start governing from the centre-right. They’ll be fine. It will be impossible for the Trudeau government to move centre-right. This is what has taken two years for people to realize: The current set of Libs really mean every last progressive nostrum they mouth: society is set up to oppress women, green power even if it wrecks the economy, for the last 150 years Canada has oppressed pretty much every segment of its citizenry, equality of outcome is the absolute highest virtue our country can aim for etc. This no longer your grandfather’s Liberal party (i.e. that of Chretien). Even the last grandpas they have left (after kicking out oldsters like Dion and Macallum) are mouthing the nostrums. Adler even got WK to admit this on his show when he quoted Goodale saying last week in Maclean’s their “diverse cabinet” would insulate them from criticism. I really fail to see how the Libs can dial it back and become a truly centrist party again. After Trudeau goes, what is there? The bench is very thin indeed. The likely model is the UK: centre-right (Tories/CPC), centre-left (Labour/NDP), with Lib Dems as an afterthought for yuppie urban centres. What a mess, worst part is, its the brainchild of the PM and the Finance Minister. They cant govern from the centre-right, they desperately need the social left vote to continue to stay Liberal. This is a far left Liberal government, its main strategy was to steal votes from the NDP. Problem is, most Canadians are comfortable with Liberal govt’s, they normally stay fiscally responsible with a tinge of social justice, this current Liberal gov’t does neither, they were voted in on an NDP platform and now have that deer in the headlights look that most NDP govt’s have early into their mandates. .. the Trudeau gang could start acting like the ‘public servants’ they were elected to be. And all their unelected operators advisors donors spokeswanks need the concept drilled into them. They all work for & are paid by their constituents aka the citizenry of Canada eh. So trim the wick of the Party Whip & shelve the neoliberal ideology and other little bo peep crap and stsrt fulfilling the ‘job description’ and the election promises.. or explain honestly why they can’t or won’t – ever. lack of experience shows both at political and pmo level…new blood is fine and required but not using some of experienced folks an issue especially given treatment of liberal senators…. They won’t be laughing in Toryville if the CPCs lose the by election next month in South Surrey White Rock. It is a riding that they won in 2015. Should they lose that one, in addition to the recent by election loss in Lac St. Jean, which they also won in 2015, and that’ll mean they’re 0-2 under the hapless Andrew Scheer. How soon before the knives come out? With Scheer at the helm, JT has nothing to be worried about. Conservatives love a good knifing, especially if it’s one of their own. But in Ontario, after the 2012 general election, the Wynne Liberals lost, IIRC 5 seats in by-elections only to win them back in 2014. You forget that in my previous political incarnation that we tried that in 2005. Harper remade the party in his image and caucus and member discipline is the new mainstay of the party. We wasted our time last time. Ditto for any bright bulbs who get the same idea as regards Scheer. We thought Harper was a political loser and one year later he was Prime Minister…could very well happen again with Scheer. In politics, always expect and plan for the unexpected. Iron Law Rule 1. It took 13 rounds of voting for Scheer to win the party’s leadership. Bernier led for the first 12, and lots of folks believe Bernier got gypped. If Scheer continues to bumble and stumble, CPC MPs, especially in Ontario and Quebec, are going to get nervous at the prospects of losing their seats in 2019. A delicious revolt is in the making, I predict. What you say? I think your argument has merit re: some Ontario seats but respectfully, not in Quebec. Those seats since 2006 that have remained CPC are either rural or habitually right-wing. It’s no coincidence at the provincial level that my riding and the surrounding ones in Quebec City are staunch CAQ seats. They just took the Liberal stronghold of Louis-Hébert in a recent byelection. Unlike most of the province, it’s really right-wing around here. Far too right-wing from my perspective. Scheer Boredom will make the CPC question their new leader. Sooner rather than later. But he HASN’T been bumbling and stumbling. I really don’t know what you’re referring to. He’s not yet well-known but seems leagues brighter than the intellectual flyweight in 24 Sussex. Not that brains will equal electoral victory, of course. But Liberals seem to be regarding Scheer the way they did initially Patrick Brown. Or Stephen Harper for that matter. 3) Ontario is likely to have a PC government in 8 months time. Alternation will play out as it has for the past 50 years between Ottawa and Queens Park. Btw, “BlueGrit”? How? In all your messages here you seem to be lockstep with everything T2 says or does. If you qualify as a Blue Grit, the Liberal Party has moved farther to the Left than I thought. The Trudeau Government and the Morneau Finance Department are taking from the middle and upper middle classes and the working poor to give to the super-rich and the unworking poor. That is their policy. 1) There was the tax assault on small business and entrepreneurs, but no action against the tax havens of the super-rich (the guys Trudeau and Morneau hang out with). 2) There was the tax assault on minimum wage worker employment discounts. 3) There is the tax assault on sufferers from diabetes. 4) The enhanced CPP pensions don’t benefit the working poor at all. They are just a tax increase, since the enhance pension just reduces the GIS they will receive. 5) Instead of borrowing money at the lowest interest rates in history for infrastructure, there is the privatization bank which guarantees profits for the global 0.1%er investors at rates two to three times, 7-8% returns, the cost of the government just borrowing the money. And if there are any losses the taxpayer foot the bill. And the investors end up owning the assets instead of Canadians. 6) And we all know that the next phase of the privatization bank is asset stripping, the selling off of Canadian infrastructure…i.e. airports, etc…to these global 0.1%ers. Yep…a bit of money is being sprinkled out there to the masses, but the whole economic policy of this government is for the benefit of the super-rich. Canadians will start to see JT and BM as an oligarchy. Rich guys for rich guys and it will be difficult to walk back trying to tax everything that everyone else has. The Liberals are also significantly increasing immigration, TFWs, and long-term tourist visas while Toronto and Vancouver face housing crises and middle-income Canadians haven’t had a raise, in real terms, in decades. The concern is not with immigrants themselves but with an immigration system that works counter to the best interests of Canadians. This negatively impacts lower and middle-class Canadians whose wages continue to be suppressed and who must spend an increasing portion of their meagre salaries on housing, but it definitely benefits the 0.1% CEOs! Morneau should never have become Finance Minister. Now any transfer is a demotion unless it’s Foreign Affairs, and Freeland is shining there. Ralph should have been named Finance Minister again, and it’s a shame he wasn’t. Nobody is as steady IMO. Yep, no one has more credibility for Finance, nor more battle scars than Ralph. He has no corporate interests to consider. You can’t get more solid than Ralph. In short, they badly need Ralph’s gravitas to get out from under this political nightmare. I have to agree with you on Morneau. And his “guilt” or “innocence” on anything isn’t an issue. It doesn’t matter if he was up front with the Ethics Commissioner, he wasn’t up front with the public. Did no one guess his financial details would become known and used against him? How short-sighted is that? Now he’s the lightning rod for anything people don’t like about this regime – the Wynne of the federal Libs. Not sure about Goodale. He was good, in his day. That was then, this is now. His support for handing Canadian’s private info over to the Americans just because they want it makes me question his judgment. Trudeau threw him into the deep end of the pool and he has done a very good job. But Finance is a bridge too far, at least during this mandate. 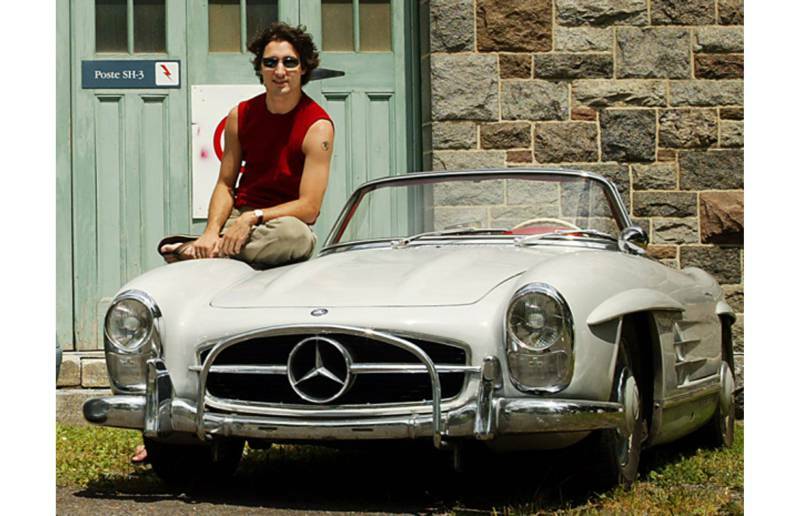 The main factor that has made Trudeau so endearing to Canadians despite his wealth is his candour about the privilege that comes with his privilege and the disproportionate socioeconomic burden middle-class Canadians carry versus the wealthy. Voters appreciated the authenticity and honesty behind Trudeau’s policy proposals in 2015. Morneau is not Trudeau; he is not to Canadians what Trudeau is/was/can be. Morneau is politically tone deaf. Combine that with the endless travelling Trudeau does, where he is seen rubbing shoulders with the wealthiest and accepts the accolades showered upon him by the opinion-class, it hard to expect skepticism not to build. Canadians aren’t seeing unparalleled growth. We aren’t in the worst of shape, but confidence in the economy is still anemic. Its time to refocus on the Canadian middle-class in a meaningful way. It starts by moving Morneau out. Also: ‘Politics is full of rich guys’? Politics is ALL rich guys/women. Tell me someone you know that makes nearly $200K a year and has their living expenses largely cared for with a good shot at a decent pension. One such MP I worked for lives like he works at a blue-collar job but is sitting on a fortune after having sat as an elected official for years. Lets not suffer any illusion that MPs are going to Ottawa and scrounging for their lunch. That income puts them in the 1%, but Morneau is part of the 0.1% who make millions, but more importantly, has power over billions of dollars and thousands of employees that they can use to manipulate things to make more millions for themselves. No scrounging. How true. The hot meal is in the lobbies. I believe that the CPC’s path to victory – already unlikely given that Canada hasn’t tossed a first-term majority government since 1935 – is to brand the Liberals as the party of rich white guys. So they left the mega-rich alone while almost (they retreated) going after waitresses who sometimes get free food as a perk. Unbelievable.